Firstly, I say library, I mean, snug, back room call it what you will. It’s home to our books (in boxes, admittedly) anyway. It contained a funny little deco mantel shelf, and a wallpapered plate. 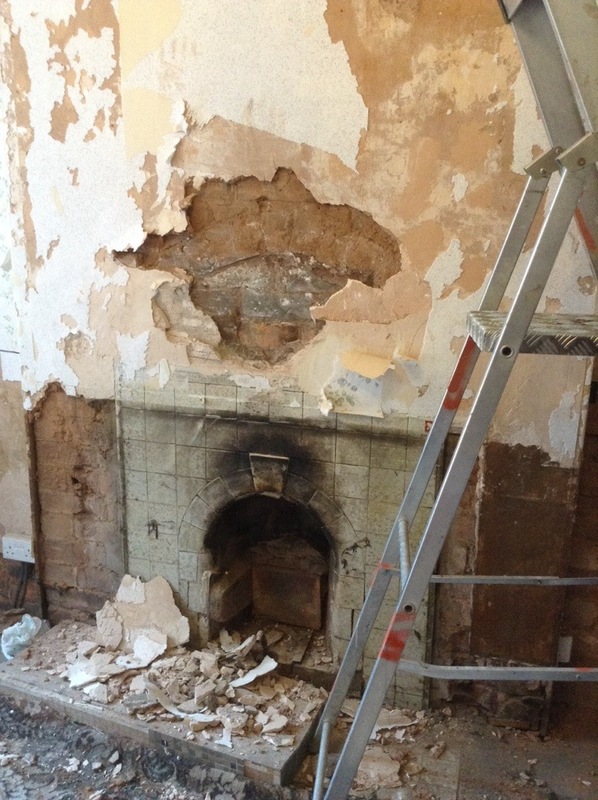 I’d had high hopes for the lounge fireplace, yet to be fully investigated, but investigated enough to reveal… Nothing exciting – I hadn’t really considered the library fireplace might have a story to tell. 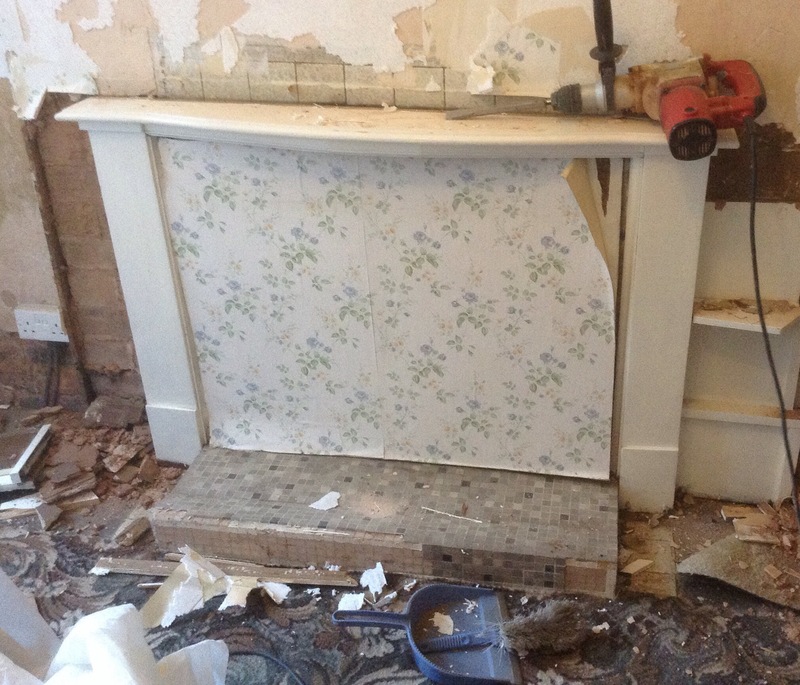 After a bit of hammering the Deco bits came off, to reveal quite a pretty little mantel… Now on my Ebay list. A bit more hammering, and we found this mosaic monstrosity. Fifties maybe?? Odd as the Deco mantel overlaying it actually looked to be of more age. I don’t think I’ll both Ebaying this one. 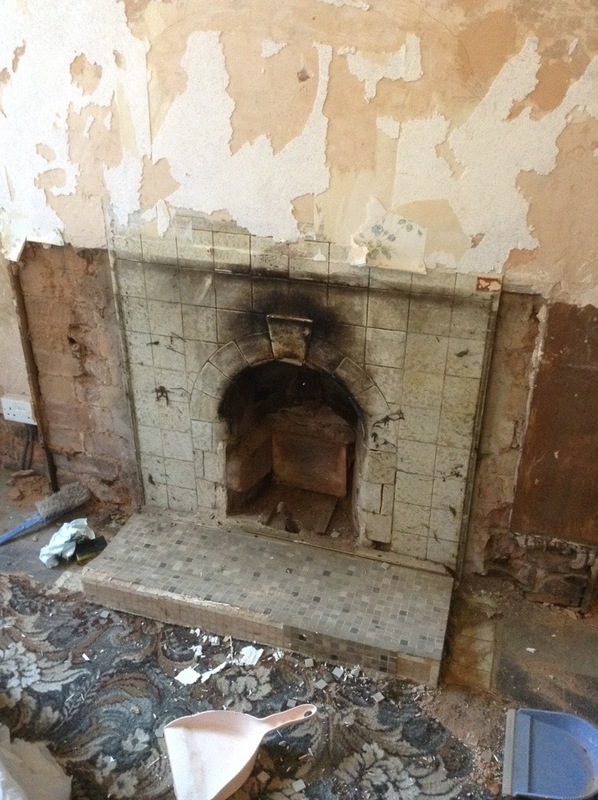 More hammering STILL and we found a pretty tiled arch fireplace, 1920s apparently. Another fascinating fact: Rectangular tiles suggest a 1900s surround, but our square tiles suggest a later version. 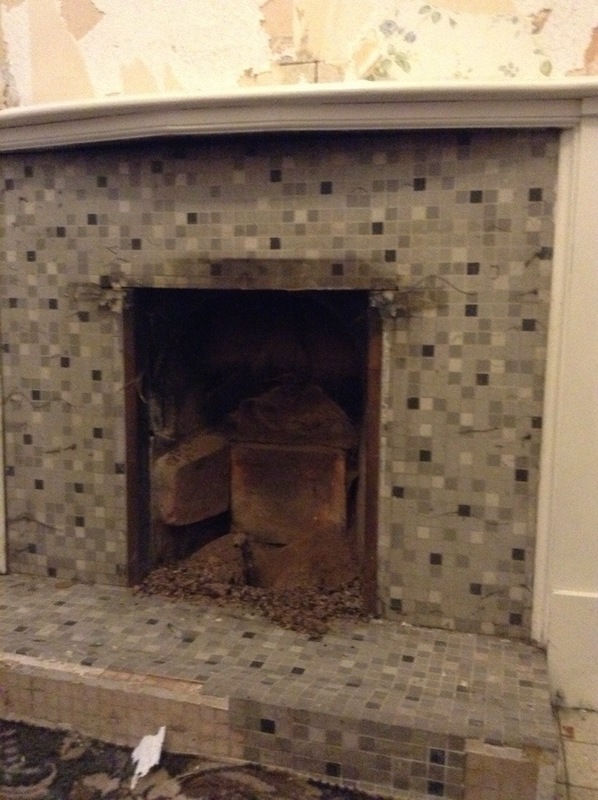 The poor old tiled fireplace has seen better days, there are a couple of tiles missing, and a couple more cracked. 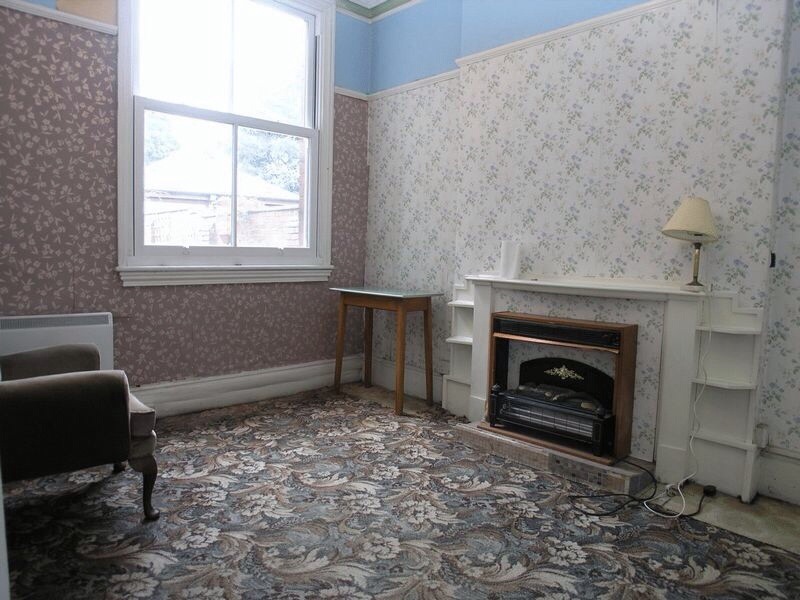 I’m not sure we love it enough to restore it… We have visions of this room being our snugly room with a wood burner, for playing chess and drinking brandy in (when we are grown up enough to do such things, obvs), the pistachio tiled number doesn’t somehow fit with this. Finally, after several hours hammering, we unearthed a suggestion of a brick arch. We’ve left it at that for now as A. We got a bit bored hammering, and B. We can’t decide which fireplace we want. Uber exciting. To be continued… Though god knows when.